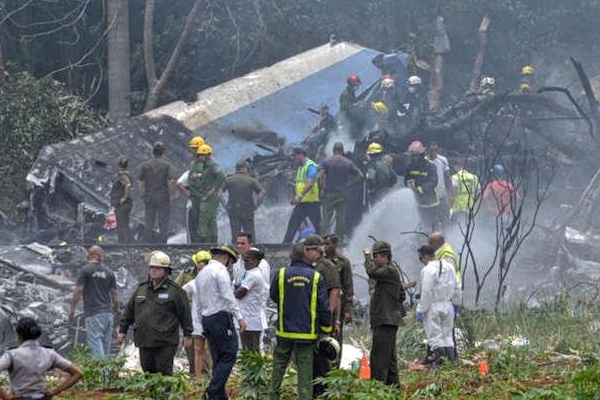 Boeing 737-200 Crashed Near Havana Airport After Takeoff. A chartered Boeing 737 crashed near the Havana airport shortly after today's takeoff, with 104 passengers and crew aboard. The flight was operating a scheduled charter flight to Holguin on behalf of the Cuban operator Cubatur. The owner of 737 is not immediately clear, but a source from Cuba's transport ministry says the 737 is owned by the Mexican airline Damojh Airlines, which operates two Boeing 737-200s. 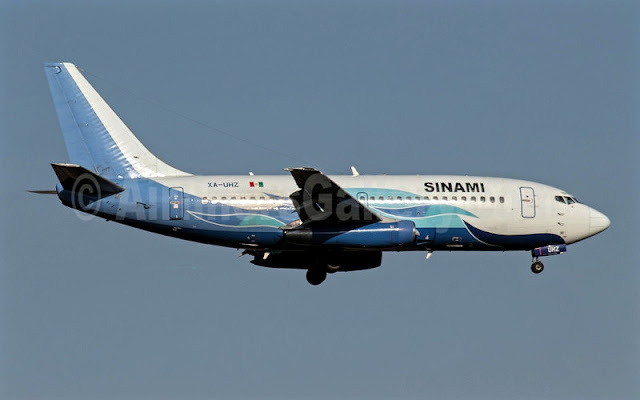 The Boeing 737-200 involved in an accident near the Havana airport today is owned by the Mexican charter airline Global Air, also known as Damojh Airlines. A representative of Global Air, based in Mexico City, confirms that the plane of the charter carrier crashed in Havana. The plane, registered XA-UHZ, is almost 39 years old and was delivered in 1979 to its first operator, Piedmont Airlines. Cubana had leased the plane for the flight from Havana to Holguin today, says the Cuban state newspaper Granma. The 737 crashed at 12:08 in Santiago de Las Vegas, about 10 km (6.2 miles) from the Havana airport, shortly after takeoff. Granma reports that three survivors among the 105 passengers and crew members on board have been sent to local hospitals and are in critical condition. There was one baby and four children among the passengers on board, the newspaper says. It is not clear how long Cubana had leased the 737. Some source shows that it had leased the same plane for approximately eight months in 2009. Cubana was not contacted immediately for comment. The Cuban airline has rented planes to operate its flights after it affected its Antonov An-158 fleet earlier this year, after a struggle to obtain spare parts for the fleet, which in turn affected operational reliability . The civil aviation authority of Cuba formally ordered the grounding of the aircraft type recently. Damojh had a fleet of three aircraft, including the 737-200 involved in today's accident, says the Ministry of Transportation of Mexico. The charter carrier, which began service in 1990, had been subjected to routine inspections in November 2017 and had approved those controls, the ministry says. He also had the permits and approvals required for leasing operations with Cubana, they added.